If you just don’t want to replace your back seat but your cover could use a little love, the Corbeau CJ, YJ, and TJ back Seat Covers are the perfect fix. Seat covers are available in color-matched vinyl/cloth combo and are perfect fit on the back seat of your CJ, YJ, or TJ. 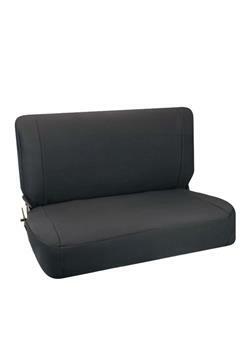 These covers are such an accurate fit that it will look as though your back seat is brand new.